If you’ve made my Halibut Fish Tacos, you are probably familiar with this tortilla recipe. 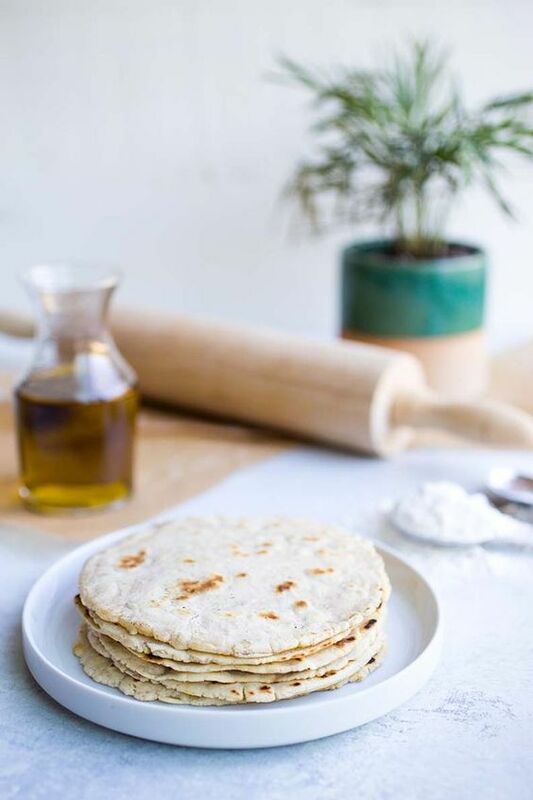 Up until now, I hadn’t given these paleo-friendly Gluten Free Cassava Flour Tortillas a recipe post of their own, but they certainly deserve it! Although making homemade tortillas may seem complicated, it’s really not. Especially after you try it once or twice, it becomes second nature! The other great thing about this recipe is that you can double it or even triple it and save the extras in the fridge or freezer. That way you have delicious tortillas on hand whenever you want! The key to these tortillas is the cassava flour, the amazing gluten-free and grain-free flour that often subs 1:1 for regular flour. If you haven’t tried cassava flour yet, you’re in for a real treat. There are tons of recipes on my site that use it too! You can make these in 3 different ways. You can use just a rolling pin, just a tortilla press or do what I do and use both! My tortilla press doesn’t quite get these as thin as I want them, BUT they make them perfectly round. So, I like to use the press first and then flatten them a bit more with a rolling pin. Make sure you have some unbleached parchment paper on hand too, otherwise you will create a sticky mess! In a bowl, combine all ingredients until the batter starts to resemble dough. If it's too dry, add a bit of water. If it's too wet, add a bit more flour. It should be just sticky enough to stay together but not so much that it sticks to your fingers. Break dough into evenly sized 6 balls. If using a rolling pin, roll out dough between two pieces of unbleached parchment paper sprinkled with a little extra flour. You will likely need to help re-shape the tortillas into a circle and re-roll as they often crack a bit around the edges. If you have a tortilla press, I recommend also using parchment on both sides with a bit of flour. Press firmly until the dough is flat. Personally, I like to use my tortillas press but then roll out the tortillas a bit more afterward so they become a bit thinner. Heat a pan to medium high. When warm, place tortilla gently onto the pan and cook until bubbles appear and the bottom of the tortilla starts to brown. Once slightly browned, flip it and wait for the second side to brown - about 2 minutes. 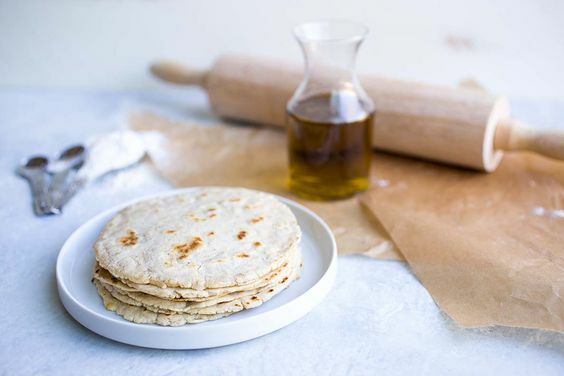 If the tortillas seem dry as you cook them, please a damp paper towel over the resting tortillas as you finish the rest. Serve right away or store in the refrigerator or freezer for future use.